The states would still need to legislatively enact the federal standards into their respective state laws. Jay Inslee of Washington, John Hickenlooper of Colorado and David Ige of Hawaii signed a letter, along with Kate Brown and Jerry Brown, vowing to protect the landmark federal environmental laws from being eroded in their states. Trump has acted on several fronts to roll back air and water regulations to make them more industry-friendly. Kate Brown — engaged in a highly competitive re-election campaign against Republican Knute Buehler — proposed on Oct. 3 adopting into state law all federal clean air and water standards as they existed on Jan. 19, 2017, the day before Trump's inauguration. 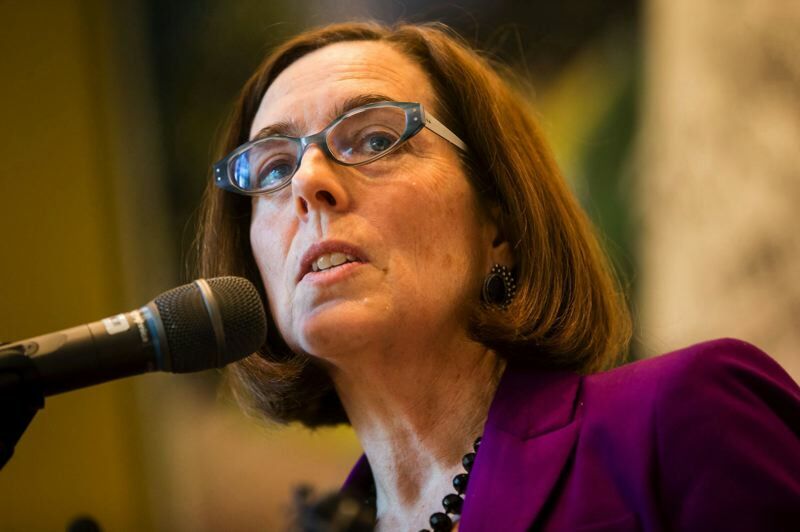 Thursday's move means four other governors have now joined Kate Brown's effort. Their joint letter states: "For over a generation, Americans have enjoyed the protection of these signature environmental laws. Through science and research, we have learned more about how the health of the environment affects the health of people, particularly children and the elderly. Since the 1970s, clean air and clean water standards have advanced to reflect the science and protect people. For the first time in history, these standards are being rolled back at the federal level, and we now face threats to the basic underpinnings of the Clean Air Act and Clean Water Act themselves."